Moana at Komodo National ParkWelcome onboard MOANA. After a refreshing welcome drink, we set sails heading south. Now it is time for a short introduction to the facilities of our vessel and the tour program. Afterwards, there is only one thing left to do: relax and enjoy great views, while we are steaming towards our first stop: the famous Komodo National Park. The route depends on several conditions (weather, moon phase, season). The first dive will be in the afternoon. The spot near Sebayur Kecil is often used for a check dive because of the conditions are suitable for beginners. After wards snacks on board. 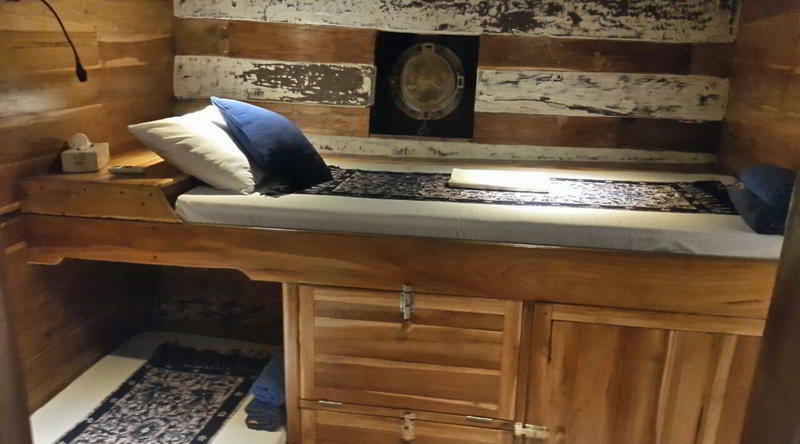 Moana will stay in a quite bay for the night. Moana Twin CabinA typical diving day aboard Moana starts with breakfast at 06:00 hrs. Cereals and warm beverages will be served by the crew. Afterwards briefing for the first dive of the day. When we return around 08:00 hrs a more hearty breakfast will be served. Afterwards it is time for the second dive of the morning. For example at Castle Rock. Lunch will be served abord Moana. Time to relax until 14:30 hrs. The third dive will be in the afternoon. Local snacks and drinks will be served afterwads. The fourth dive will be possible at 17:30 hrs. When all divers have returned to Moana it will be time for the three course set-dinner. The food is influenced by local indonesian and european dishes. 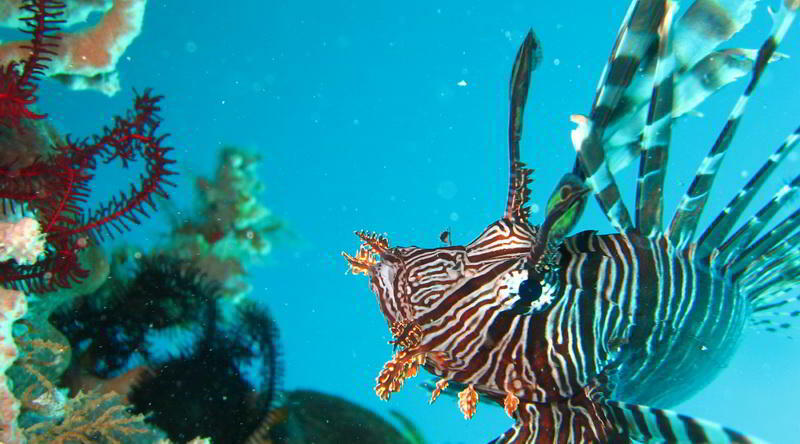 scorpion fishFirst dive before Moana hoists anchor and moves to the area between Komodo and Rinca. From there we can reach many of surrounding diving spots. Some of them are the best of the National Park. For example Batu Bolong south of Sebayur Kecil. It is easily spotted from above because of the characteristic rock arc. The diving spot is aptly named Current City. 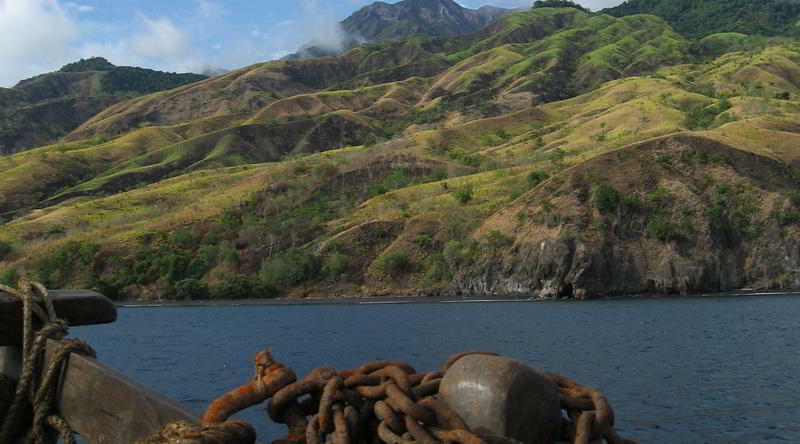 The tip of an underwater mountain is densely covered with corals and many fish can be found here. The currents attract also big fish. 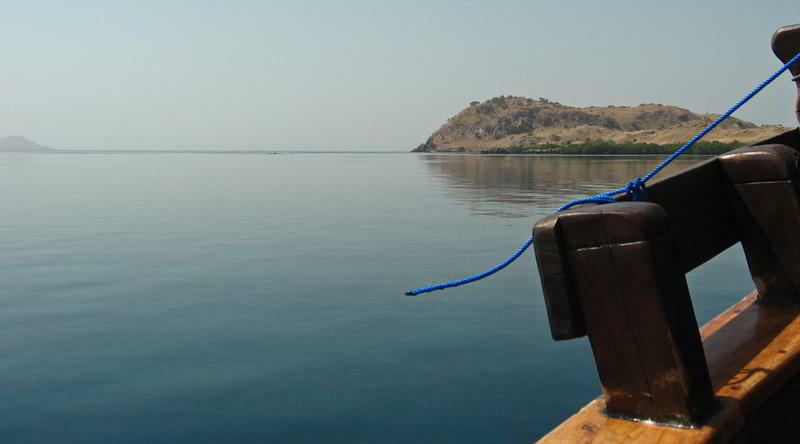 Islands of Nusa TenggaraThe north-west of Tatawa Besar is a good spot for drift dives. You will see large groups of fish and orange soft-corals in a depth of 15-20m. The west coast of Tatawa Kecil is known for beautiful rock formations and tricky currents. Only suitable for advanced divers. 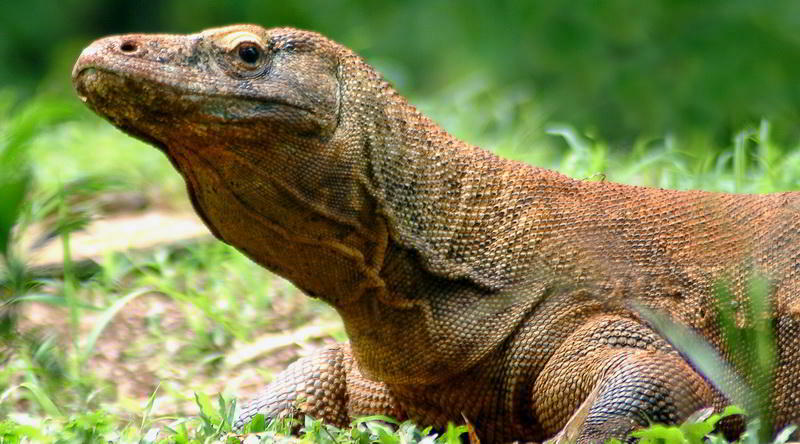 Komodo dragonDragon-Walk: Komodo dragons are the world's largest lizards. They only live on the island of Komodo and other tiny surrounding islands. After an early breakfast we start a 3-hours trek. We walk through the island to observe the Komodo Dragons in their pure environment as well as an opportunity to observe other animals such as deer, horses, birds etc, in their wild life. After returning to the boat we have the opportunity to swim or snorkel on the clean and white sandy beach. MoanaBefore we move on to the harbour of Labuan Bajo Moana anchors at Bidadari Island. You can swim near the beach or just relax in the sand. It possible to snorkel at the reef. Return to Labuan Bajo after lunch and transfer to the airport. Minimum 4 pax in Komodo. There is no fixed route for this trip. Route depends on weather conditions, currents and other things. Changes are possible at any moment. For more information click on the fact sheet. - For more information on MOANA click on the fact sheet (pdf 0,3MB).